App Based Mass Transit Solutions coming up in 2019,Your thoughts? I was considering boarding today and I see why it would have been a bad idea. They posted their success on Twitter. Ningekuwa hapo nimeng’ethia kwa social media. Ningekuwa hapo nimeng’ethia kwa social media. Swvl has an uphill marketing task ahead of them. Their buses have been going around empty for almost a month and Little are full on day one. Though we will see how full they are when the free offer ends. 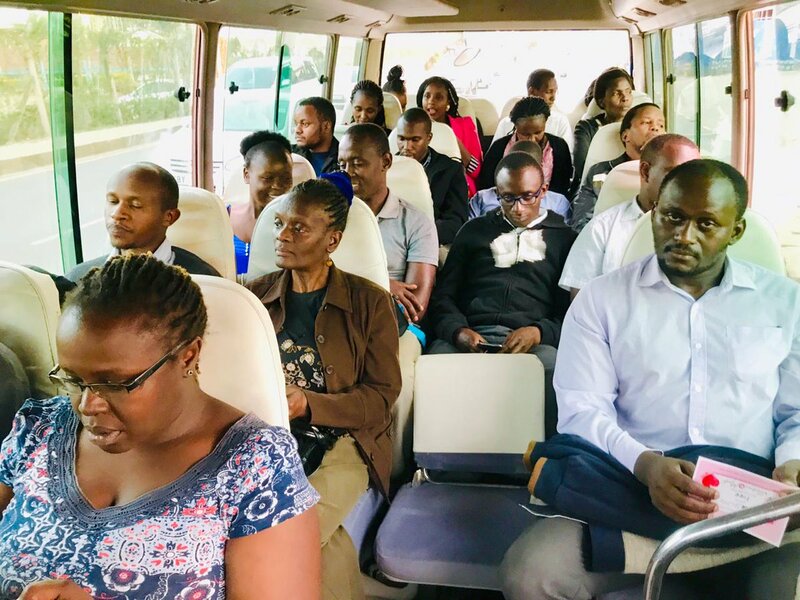 ION Swvl just launched the ndenderu CBD route now,plus they have changed their CBD stops,probably to avoid matatu conflict and kanjo guys…crown bus station is ideal coz some tour operators with similar vehicles operate from there with similar buses. I downloaded the swvl app just out of curiosity. I go to usiu ateast 4 times a week and was interested in the possibility of signing up. Unfortunately there buses go to a place called kinoo and none go to thika road. Hopefully things will change in the near future. It was a wild shot hoping to get a trip from South b to usiu anyways. Be more keen. 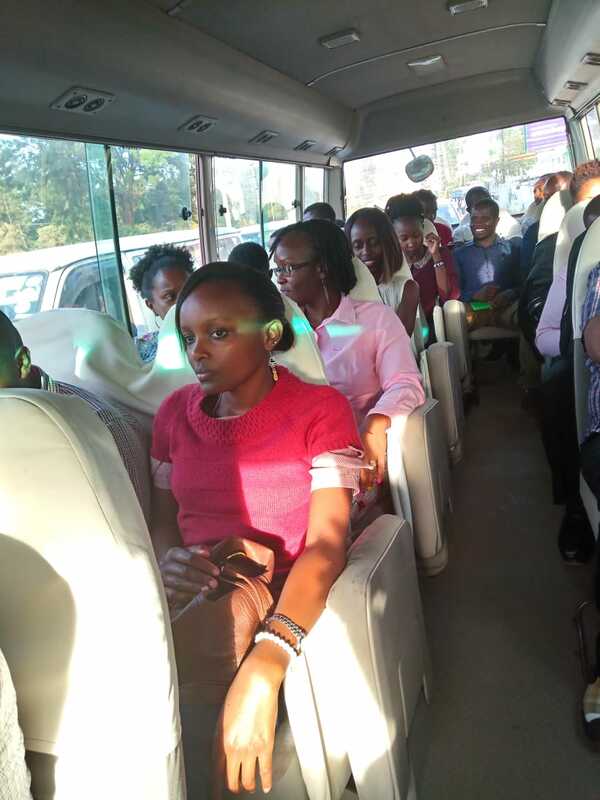 Thika road was the first route to launch 3 weeks ago on swvl. It’s CBD-Ruiru on the app. 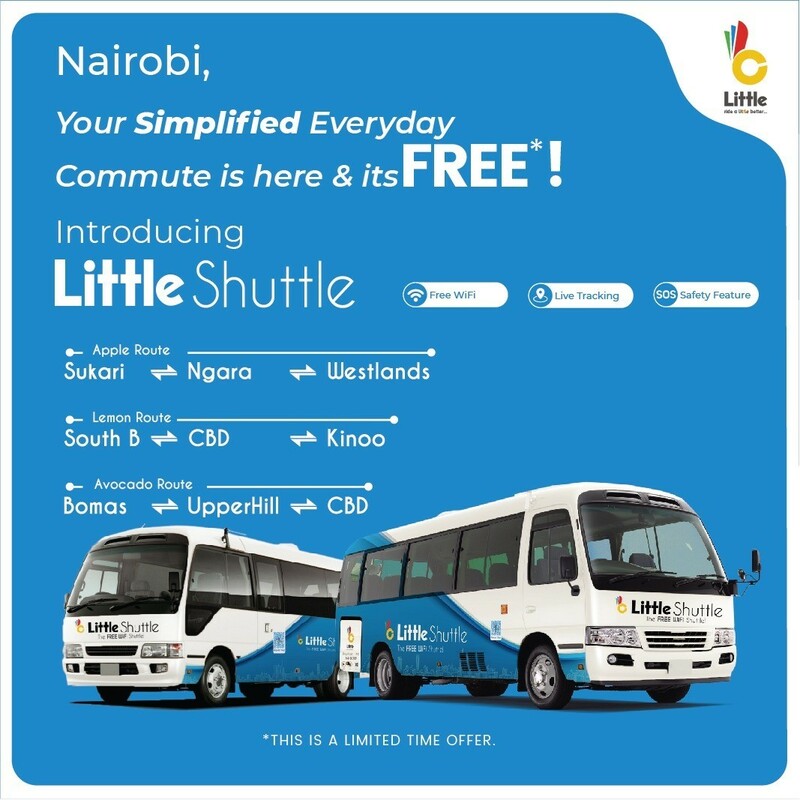 Kwanza for USIU it’s perfect, the pick up point is directly opposite where the usiu buses pick students at Jevanjee and then the drop off is at safari park, where you just hop into the usiu shuttle to uni. 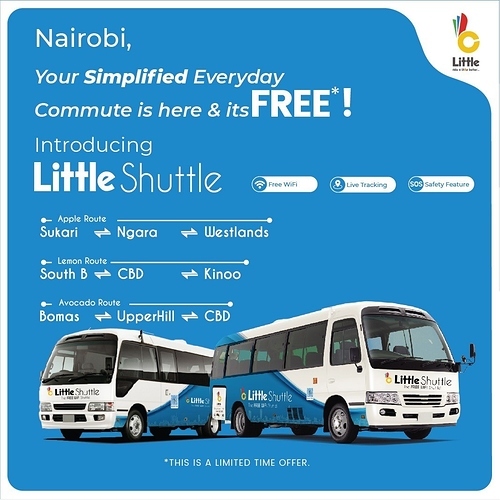 Maze Little shuttle ni shida tupu,their app makes it so difficult to book,the tracking system with maps simply still doesnt work,the promotion they have for passing by the malls today has not been working well.They r making Swvl look so good at this moment,i simply dont care about free anymore,free doesnt matter if i cant book and get on board for the ride. I feel like Swvl needs to change that name. No, the reason startups raise money is so that in a few months their name will flow freely out of everyone’s mouth after a successful marketing campaign. I had booked today a trip(FROM Westlands - CBD-Upperhill-Rongai) whose one of the pickups is @ the mirage. I called the ‘Captain’ 5 minutes early only for him to say he was in Rongai giving a reason that they were late. It seems some routes have a single vehicle. My stop was removed from Swvl app, they say that it’s hectic for drivers, so I guess it was nice when they were around. Little Pilot is not for the faint-hearted. I was in Westlands yesterday at 5pm, thought to give it a try and it was fully booked. Next available trip was an hour away. my stop was removed from the swvl app too…havent been able to use it since monday. Like @Dree_Alexander, I have been unable to book a Little Shuttle trip and board successfully. That app needs prayers plus their delays are crazy bad. Wah! Swvl, on the other hand, was doing good before they started marketing themselves. Now, the bus has been fully booked for a few days now.